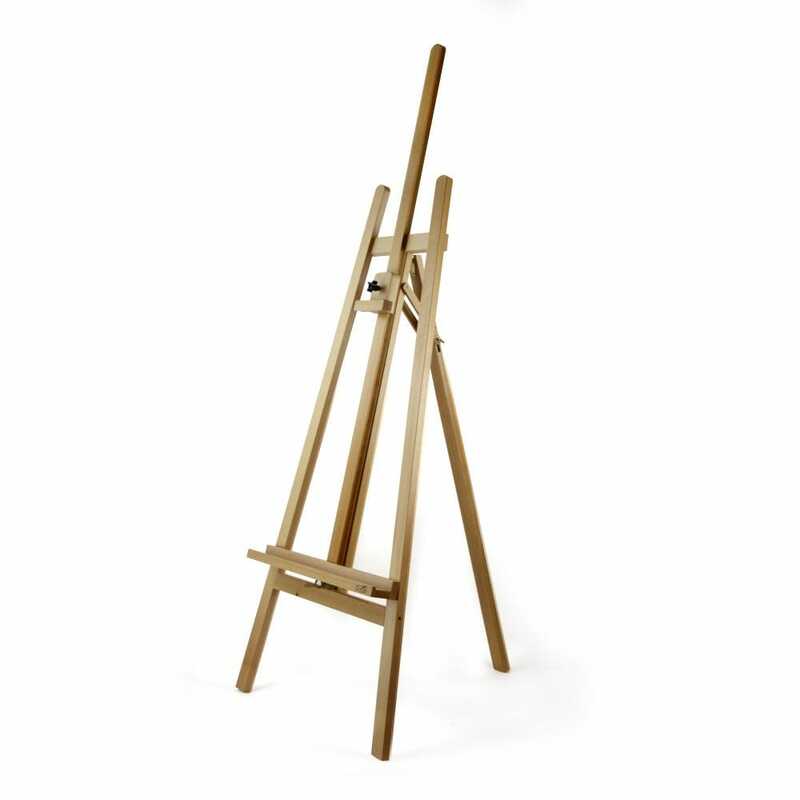 Solid studio A Frame easel, made from seasoned beech wood which you will know as the traditional school style easel. It's adjustable height will suit any variety of painting media, ideal for using in small spaces or limited room as it will fold flat when not in use. The lower canvas support is adjustable in height by moving the metal ratchet mechanism.